Matthew’s gospel is the first book in the New Testament, but many modern scholars doubt that it was the first one written. Priority goes to St Mark, and it appears that Matthew made use of Mark at least as an outline. Commentaries differ in suggesting how much more he may have taken; some sections are the same word-for-word. Matthew is considerably longer, mostly because he puts in long sections of Jesus’ teaching. When he narrates a story, however, it usually is less detailed and sometimes less vivid than Mark’s. For an example of this, compare Mark 5:1-20 to Matthew 8:28-34. Matthew and Luke also share some material that is not in Mark and probably have got it from the same sources. No written record has turned up for these passages, which are mostly sayings, and appear in differing parts of the two gospels. Some books use the designation ‘Q’ for these shared texts. Each of the four gospels has its own theological take on the life of Jesus, and each writer shows a distinct personality. Matthew is the ‘most Jewish’ of all four. This is shown even in the language. Where Luke and Mark have ‘Kingdom of God’, Matthew usually has ‘Kingdom of Heaven’ – as generally translated but literally ‘heavens’ which is a Semitic way of speaking. Jews tried to avoid using ‘God’ out of reverence and in line with the Second Commandment. All of the gospels use allusions to the Old Testament to show how they foreshadowed Jesus, but Matthew has more direct quotations, ten of them using the formula, ‘This happened to fulfil the words….’ There are many passages which suggest this more subtly. But while noting the continuity of Jesus to the past, he also stresses that in Jesus there is something entirely new and unexpected. This appears from the opening of the Gospel in which Matthew gives his legal descent though Joseph from David and Abraham, but signals first some oddities in the past with the women in the genealogy. Then we read that Mary is with child by the power of the Holy Spirit and not by a human father. Matthew sometimes shows Jesus using the rabbinical style of debate and perhaps it is another Jewish feature to argue with other Jews. In his commentary on the gospel, Daniel J. Harrington takes the viewpoint that at the time Matthew wrote, he was contending with the followers of the Pharisees to be the rightful successors to the faith of the Old Testament, and this explains both why he stresses lasting parts of the Jewish Law but does not hesitate to show Jesus at other times making changes. ‘You have heard it said… but I say to you…’ is used a number of times in Matthew 5:17-48. Gentiles play an important part from the visit of the Magi on to the last words of Jesus. Harrington thinks that Matthew had in mind, as the recipients of his work, a mixed community of converted Jews and Gentiles. 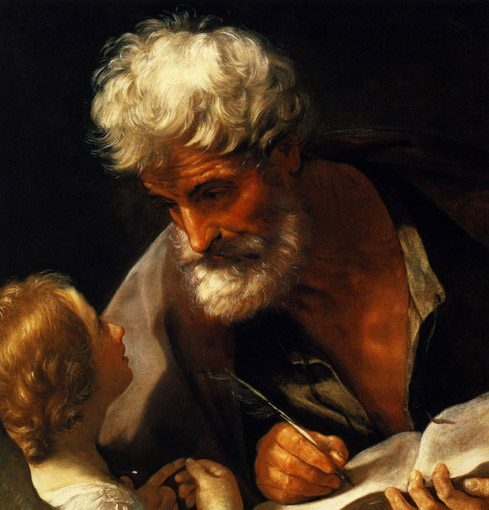 Matthew takes a special interest in St Peter. Although he recounts Jesus rebuking him (16:21-23) and the denial during the Passion as does Mark, this is the only gospel with the ‘commission’ that on Peter Jesus will build his church (16:16-19). Matthew is also the only one of the four to use the word ‘church’. Matthew makes a point of noting geographic locations, often tying them to an Old Testament prophecy, as Galilee in 4:12-16. Thus he gives them symbolic value. A major feature of the gospel are the five sections of Jesus’ teaching, and these instructions for living as a disciple made it a favourite in the early church. Many of these words have also entered even into common speech. The best known of the five is ‘The Sermon on the Mount’ which takes up three chapters. It is Matthew who gives us our version of the ‘Our Father’ or ‘The Lord’s Prayer’ and the ‘Beatitudes’ (5:1-10). Only in this gospel is the Last Judgement which has inspired so much Christian art. Although punishment for sin is part of Matthew’s faith, the parable of the Last Judgement is far more about how Jesus identifies himself with all those in need to the point where anything done for them is done for Jesus himself. Besides the discourses, we see Matthew’s concern to show the preparation of the disciples and their need for discipline as part of Christian living. In this gospel, immediately after Jesus starts to proclaim the coming of the Kingdom of Heaven, he calls the first disciples (4:18-22). In this passage, which is very close to the words in Mark, we see Matthew’s curious fondness for twos: Mark has noted ‘Andrew the brother of Simon’ and ‘John the brother of John’ – presumably the oldest first. But Matthew while keeping these adds twice, ‘two brothers’. At other times, he doubles the number of those healed. Perhaps this comes from the Jewish Law that requires two witnesses. Who is ‘Matthew’ the writer? The name comes from early tradition, and could be no more than a deduction from the fact that the name ‘Matthew’ is only in this gospel, in the call to the tax collector to ‘follow’ and as an Apostle, where in both cases Mark and Luke have the name ‘Levi’. It is possible that the tax collector is the author, or maybe the authority, behind the gospel but if so it is odd that so little seems to come from personal experience rather than so much from sources like Mark and those shared with Luke. Although we may not have biographical details, we can sense something of the writer by living closely with his work – he is careful, reverent, reflective and completely dedicated to Jesus and his teachings. Date and location of the writing of the gospel are educated guesses, often suggested to be in the years 70-80 and in either Palestine or Syria both of which had a mixed population of Jews and Gentiles. There is some stress on Galilee in the gospel that may come from a community in that area. There are numerous guides or commentaries with varying levels of scholarship and comment, and I find it hard to make a recommendation for everyone. There are good notes in the Jerusalem Bible. Books and pamphlets are at the Catholic book shops near Westminster Cathedral and online. I have a number of commentaries which I will be drawing on for the weekly notes, including R. T. France which is over a 1000 pages. It may be a challenge to finish a study in his detail study in Year A but I look forward to living more closely with Matthew in 2014. I hope all of you will also find the experience rewarding, comforting, and inspiring –and also at times challenging as that I believe that is one of the purposes of scripture. The Bible is the ‘foundation text’ for Christianity, so much so that St Jerome, an early translator and scholar, could say, ‘Ignorance of the Scriptures is ignorance of Christ’. We hear selections from it at every mass, but reading and praying with scriptures on our own is meant to be is a vital part of spiritual life. Modern historical scholarship, archeology, and literary studies have made much of the Bible far more intelligible for our times than in the past, and the Church has encouraged us to make use of these aids. Yet starting to read the Bible is not always easy and people do not always know where to turn for help. There are numerous books giving background and interpretation of the Bible, as a whole, or by sections or individual books which can be found at local Catholic bookshops or online, but the very number of these can be confusing. One simple way to start is with The Jerusalem Bible. This is the Catholic translation we hear at mass which also contains introductions to the various books and types, and footnotes on difficult passages. Thousands of Christians, however, who did not have that access to scholarship, have for centuries found instruction and inspiration for their lives in hearing, reading and reflecting. With or without study guides, the most important step is just to start reading. This may also give you an idea of which studies you would find useful. These notes give a little basic background to picking up the Bible yourself. The Greek word ‘biblia´ from which our word Bible comes means ‘books’ – in the plural. It is more a little library than one book and the parts were written over several thousand years. The last books come from the first century after Christ. We are dealing with ancient cultures and ancient histories as well as ancient literatures. For Christians, the Bible is divided into two parts: the ‘Old Testament’ and the ‘New Testament’, often abbreviated OT and NT. The word ‘testament’ in this context means ‘covenant’ or ‘solemn contract’, and was first used for the Jewish people in their acceptance of God’s Law and way of life as they heard it revealed by Moses. Jesus then spoke of the ‘New Covenant’ which came with him and his saving death. Our Bible was written in Hebrew for the oldest parts, but the Hebrew version was translated before the Christian era into the Greek that was the common language of the Roman Empire at the time of Christ and the early church. This version named the Septuagint (often abbreviated LXX) also includes some books written shortly before the time of Christ. These did not end up in the accepted Jewish scriptures set by rabbis after the time of Christ. Although used by early Christians they were also not accepted by the first Protestants. They may be omitted from Protestant Bibles, or put in a second section called ‘Apocrypha’. Catholics and Orthodox Bible will contain them, and they may be called ‘deutero-canonical’ or ‘second canon’. We share with Jewish believers the books of the Hebrew Bible, and with Christians of other denominations the 27 books of the New Testament. There is much scholarship that is shared with Jews and Protestants, but beginners may be more comfortable starting with Catholic writers to be sure that interpretations will fit our own beliefs. As Catholics, we have a general guideline to interpretation from the teachings of the Church, but there are many points on which Catholics scholars disagree and as readers we may make choices as well on what it means for each of us. If we think of the Bible as a little library we can compare it to our modern books. The Old Testament, with its much longer history and ancient literary types, is more difficult to understand. Within the various books or sections, we may find differences or even disagreements. All human life from the highest aspirations to the worst cruelty and violence is contained within the pages. We can see over time a growth in understanding and ethical standards. I find it important to remember, as one of my professors Sandra M. Schneiders said, that not everything written in the Bible is for us to imitate; some of it is a warning to act or believe differently. A simple guideline for Christians is to ‘read the Old Testament in the light of the New’. Modern readers who go into a library understand the divisions we make: we know that ‘science fiction’ and ‘science’ are very different and we recognize some overlap like ‘historical novels’. These literary types are something we pick up through our culture, but the biblical books come from a different culture and differing times and if that is not understood there will be confusion and mistaken interpretations. It doesn’t help that some ‘books’ may contain within them parts written at different times and by different authors! Age after age my words proclaim your praise. Some of Jesus’ words are cast in parallels, too. It may seem repetitive at first, but it is a way to read reflectively. Poetry with its images has the capacity to touch us deeply, sometimes beyond the words themselves. The Bible is full of images, and most of these are not meant to be taken literally. For example, often God is spoken of having human attributes. We read of his ‘strong arm’, he walks in the Garden of Eden during the cool evening, and shows emotions like anger and jealousy. The Hebrews were not ‘naïve’ in writing of God in this manner, for any human words will be inadequate to express the ‘otherness’ of God, even abstract terms like ‘omnipotent’. We see in other sections of scripture reminders that God is far above humanity, and in some ways unknowable to our limited minds – ‘God dwells in light inaccessible’ (1 Timothy). Human comparisons have the advantage of putting us in relationship with God, one of the ways scripture helps us. There is history in the Bible, but not quite the same as modern standards, more like family or group traditions. Some sections contain moral codes, also lesser commandments and rules for Jewish ritual practices. The ‘Song of Songs’ is a human love story, which can also symbolize God’s love for each of us. Another genre is the ‘Wisdom’ literature. Some of this is simply practical reasoning looking for good ways to live (much of this in the book called Proverbs), but there are also more spiritual reflections. Seeing ‘Wisdom’ personified as a woman who was treated as an aspect of God, helped early Christians understand both Jesus and the Holy Spirit. Job is a fictional book and particularly complex, as it seems an old story of ‘patience’ is torn apart in the middle to give a poetic dialogue on the problems of human suffering in the light of God’s love. One thing the Bible does not have is science in any recognizable form, although there are fundamentalists who view the opening of Genesis as a scientific account of creation in conflict with modern science. Seen in context, these two chapters are a theological reflection on God’s relationship with the world and its peoples. The Catholic Church has never been fundamentalist and for centuries has interpreted the Bible more symbolically. The Bible also has ‘fiction’ as we do, because stories are universally enjoyable but can also instruct, reveal deeper truths, carry inspiration and warnings. Jesus was a master story-teller and did not expect his listeners to take his parables as factual cases. We are used to parables, but mistakes can be made about Old Testament stories when they are taken as history. Jonah is one example, a little gem of a story, fiction and not a history, dramatically showing God’s willingness to forgive and illustrates the ‘but if’ of prophecy. There are books labelled ‘prophecy’ a word which is often now equated with ‘prediction’ but biblical prophecy is much more about bringing God’s word into the needs of the time, condemning sinful actions or giving encouragement and comfort in times of distress. Prophets gave warnings about human sinfulness and called on people to return to God. What is often not realized is that such warnings, including those of Jesus, contain ‘but if’ – if warnings of punishment lead to turning from evil that will bring God’s forgiveness. Some of the prophets had predictions for the future, but usually spoke for their own times. Christians would see in some prophecies ideas that would help them understand Jesus and especially the meaning of his death. The Old Testament presents us with several thousand years of God seeking out people, and people searching for God and responding to God. It was a development that for Christians reaches its climax in Jesus. Some Hebrew words that occur over and over give us the spirit of the whole, stressing of God’s love reaching out to humanity. 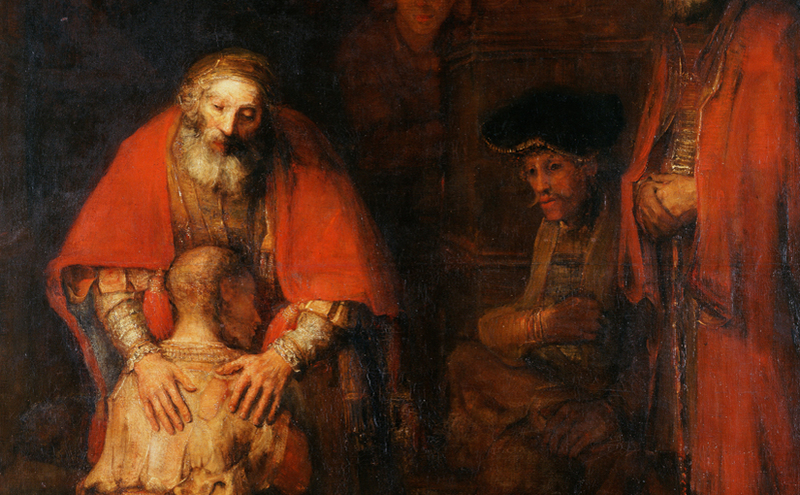 Walter Brueggeman names five in the Old Testament about God: ‘merciful, gracious, faithful, forgiving and steadfast in love’. This description will also shown to be true when Jesus speaks of ‘the Father’ – and true as well of Jesus himself. The most important part of the Bible for Christians to read is the New Testament, especially the four Gospels. This is the best place for beginners to start. Here we encounter the events of Christ’s life-death-resurrection, his teaching, his humanity and his divinity. That there are four Gospels with some differences should alert us to seeing that there are varied ways of understanding the meaning of Jesus’ life. Repeated readings also help us to see ‘the breadth and the length, the height and the depth’ we find in Christ Jesus. (Ephesians 3:18) It may seem confusing, but the effect is also enriching, opening us to creating our own encounter with Christ, the Father and the Spirit. The first three gospels are often called the ‘Synoptics’ – from the Greek meaning ‘seeing from the same perspective’. They have differences, but follow the same general path through Jesus’ life. The shared parts are sometimes word for word, but it is good to watch for the subtle variations in their theology. Many scholars today think that Mark, the shortest of the three, was the first gospel and that Matthew and Luke made use of him as a source and outline. They both add some material they got from other shared sources, but some that is unique to each of them. John takes a different line, with longer discourses of Jesus, and a strong stress on his divinity. The Book of Acts has the early history of the Church as compiled by the author of the Gospel of Luke. Most of the rest is cast as ‘letters’, many written by St Paul to his converts, but other writers used the form of a letter to contain a more general theme aimed at both telling more about Jesus as a guide for living. The last book, ‘Revelation’ or ‘Apocalypse’ is written in a genre not used in modern times, which features descriptions of ‘visions’ – which may not have been ‘real’ visions, but the intent is to encourage believers in difficult times. It contains imagery verging on the bizarre which should not be taken literally, nor are they precise prophecies. This book is perhaps the last place for a beginner, despite some passages of high poetry and consolation. One entry to the Bible is following the liturgy and this we do in RCIA. The parish website also carries these notes for each Sunday’s readings. We have in the mass each week three selections from three different books of the Bible; usually the first is from the Old Testament, followed by verses from psalms that we are invited to recite. The second is often taken from the Letters, and there is always a gospel selection. We have a three year rota (A Matthew, B Mark, C Luke) of favouring one of the ‘Synoptics’. 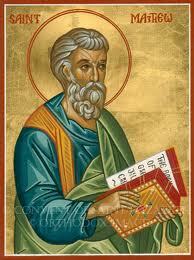 John does not have ‘his own’ year, but is read at various masses throughout each year. There are traditional forms of praying with scripture reading, one is called ‘Lectio Divina’ – holy reading. This is at its simplest, reading a short section, thinking about it, trying to get into its meaning for you, and then in peace and silence, letting it speak to you and the needs of your own life. It is also a way to pray with others, reading a section, then some silence and finally sharing insights. I advise keeping some note of passages that seem to speak especially to you, either as comfort, teaching, or a challenge to come closer to God. Some don’t mind marking their Bibles, but a list of citations (book, chapter, verse, as ‘Mark 1:1’) will make it easy to look them up again. I myself like to copy out verses that inspire and guide me; I call it my ‘Patchwork Bible’. Reading the Bible can be a great adventure, a sure way of encountering God the Father, the Holy Spirit, and Jesus our Lord, and finding our own place in ‘salvation history.’ May you find it so! The liturgical year runs in three cycles with Mass readings taken largely from Matthew in Year A, Mark in Year B, and Luke in Year C. (These three are called the ‘Synoptics’ – meaning looking in the same direction – for they all follow the basic outline of Mark, and contain much of the same material) John does not have a year of focus, but selections from that gospel are used in some Masses in the other three years, especially with Mark because of its shortness. Most modern Bible scholars think Mark is the first gospel written and shows the earliest tradition, while John is the last written after a longer time to reflect on the meaning of Jesus’ life, death and resurrection. It is also in dialogue with other philosophic traditions in the Greek-Roman world not considered in the first three. Turning to John after the Synoptics, we find not only a change in language and style, but a theological presentation that is strikingly different. Gone, for example, is any reference to the coming of ‘The Kingdom of God’. We have long ‘discourses’ of a type missing in the Synoptics; indeed, Jesus’ words at the Last Supper take up four chapters! (14-17). There is a stronger emphasis on the sacraments, often also in lengthy talks. Jesus talks more about himself, his relation to the Father and Spirit. John has a number of vivid scenes, little dramas with a theological purpose. While Mark may characterize disciples in short vivid terms, John employs a large cast of characters to bring out aspects of Jesus’ teaching. Among the literary techniques, is the use of misunderstanding: someone will take literally, or will question, something Jesus says, which then allows Jesus to draw out the deeper meaning. Another is the use of irony; something will be said with an ordinary meaning, but will be shown later (or known by the reader) to have a deeper spiritual truth. An example of this are the words of the High Priest Caiaphas that it would be better ‘for one man to die than all the people’ meaning just that Jesus’ actions might bring down the Roman power on the Jews, but from a Christian perspective Jesus will truly die for all people of all times and places. The length of some scenes and the discourses means that John is hard to capture in short readings and that may be the reason we do not have a year based on this gospel. While John insists on the physical reality of Jesus’ humanity – called ‘flesh’ in the opening prologue – more than the other three he emphasizes Jesus’ divinity and what it means. Where Mark shows and hints, John spells out and often at length. With their agreement and their differences, the four gospels give us a fuller picture of Jesus, and help us to find our own way towards understanding Christ the Lord. Each gospel has its riches, and each is worth any time one can give to reading them and reflecting. This is a title that Jesus uses for himself in the gospels, and it has a complex background. Since it has not been widely used by Christians, it can be helpful to look at its earlier uses. The Greek ho huios anthropou in the Gospels translates an Aramaic or Hebrew original bar nash. The Greek has two words that have been translated ‘man’ in English, but they differ in meaning. [Hebrew is similar.] One is for a male, but anthropou means any ‘human’. (It is the root of such English words as anthropology and philanthropist.) This is harder to translate as the Jesus title, lacking a suitable equivalent – ‘Son of Humanity’ is not quite the same. ‘Son of…’ expressions seem to be a figure of speech; others in the gospels are ‘sons of thunder’ and ‘son of perdition’ which have a poetic colour. There is a Semitic grammar here that we cannot duplicate in English. The first meaning in the time of Jesus for Son of Man is that it is simply a synonym for a person, ‘a human being’, as in Ps 8:6 where it is in parallel (in the manner of Hebrew poetry). ‘What is a human that you should notice ‘him/her’ or the son of a human that you should care for ‘him/her’?’ In the Book of Ezekiel the prophet is addressed by the Lord as ‘son of man’ –about 87 times – where again it means a human person. The word was also used as a roundabout reference to oneself, and that may be the way it was heard by those around Jesus. There is no recorded use of the phrase as a messianic title until after first Jewish war, ad 70-100, contemporary with gospels; it is found in late writings not part of our Bibles, 4 Ezra 13, 1 Enoch 37-71, and in Rabbi Akiba, before 135. This use for ‘The Messiah’ was based upon a passage in the Book of Daniel which is an ‘apocalypse’ masquerading as a prophecy. In a night of visions, Daniel reports seeing that four kingdoms that had oppressed the Jews – which he poetically called ‘beasts’ – will be destroyed and the people freed. Then there is a vision of the ‘Ancient of Days’ (as traditionally translated) which is God sitting in judgement. After the last beast is destroyed, Daniel says, ‘I saw, coming on the clouds of heaven, one like a son of man. He came to the ‘Ancient of Days and was led into his presence. On him was conferred sovereignty, glory and kingship, and all peoples of the earth, nations and languages became his servants. His sovereignty is an eternal sovereignty which shall never pass away, nor will his empire ever be destroyed.’ This vision of all power conferred on ‘the Son of Man’ fit into the idea of a Messiah whose rule will everlasting. In its first appearance in Mark, 2:10, Jesus as Son of Man claims power to forgive sins on earth, and demonstrates it by a healing. Another later use claims that he is Lord of the Sabbath. A number of times the title will be in relation to his death and resurrection.